How do I earn a letter jacket? A letter jacket will be available for purchase by senior students who have served the high school band program well. Students must have participated in the band program from the time of their enrollment in high school and must participate through graduation of their senior year. Students must attend all performances and UIL activities. Exceptions will be granted at the discretion of the band director (illness, emergencies, etc.). Students not adhering to written disciplinary policies of the school and band will forfeit their eligibility for the senior award jacket. Any violation of these rules during their senior year may result in the forfeiture of the jacket. The student must uphold the goals and standards of the band. It is understood that withdrawal or dismissal from the band prior to graduation of his/her senior year results in forfeiture of the jacket. A student with a physical challenge, who meets all other requirements, but cannot march, may qualify for an award after serving three years. 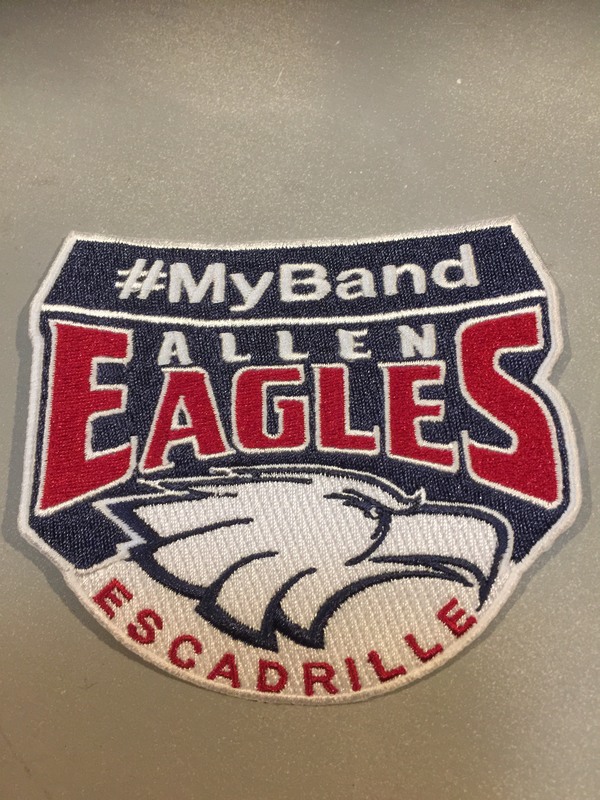 Additional ways to earn a letter jacket are to make Area Band AND/OR earn a 1st division at the State UIL solo and ensemble contest. These students will be eligible to receive a letter jacket the following year, regardless of grade classification. Any additional questions must be directed to your director. Do I or don’t I buy patches? This is such a personal decision. There is no right or wrong answer. Some parents begin purchasing patches their student earns at the beginning of their freshman year. When the student earns their letter jacket, he/she already has all the patches. Other parents wait until the jacket is earned, then try to order them. That can create a problem, as some patches might not be available. Either way, that decision is between parent and student. Please print out, complete and submit with payment to white box in the band hall.